Workflow Sample: Net Election Lifted, How would you do "Removing of Libel?" Needless to say, the mechanism is desirable which is quick, accurate and without leakage. However, the way it should be is different depending on the skill of the actual members and company size. This Business Process here, assumes corresponding by 3 teams. 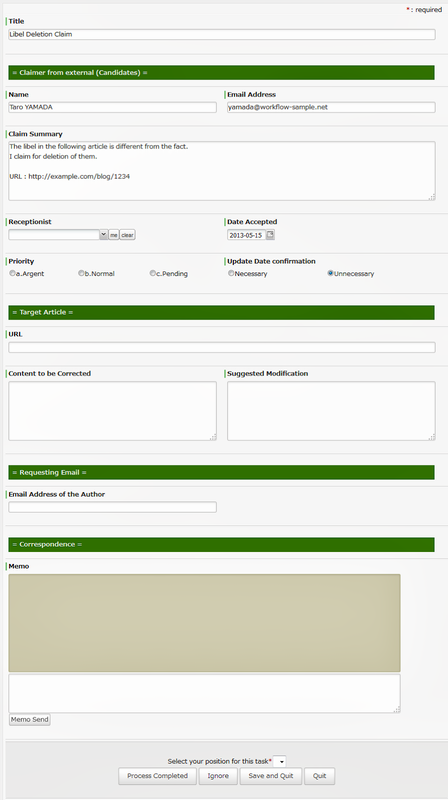 A team to request correction or deletion to the author of the article. A team to check the log or to execute deletion with the server management authority. Although only on the handling manual of individual tasks will be a very difficult, but above all, the task of [3. Confirmation of Reply (deadline: 48h later)" will be really difficult. 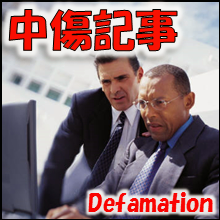 For example, an ISP company requests to a blogger that 'We want you to delete your article because candidate KAWASAKI claims that it is a defamation'. It will not be a problem if the author reacted obediently. But the answer was 'This is not defamation. I refuse your request of deletion. I will publish your request of deletion', that is going to be a big problem. The case will go to court room eventually of course, but the ISP company might get involved into trouble if mistook in how to convey (initial motion). 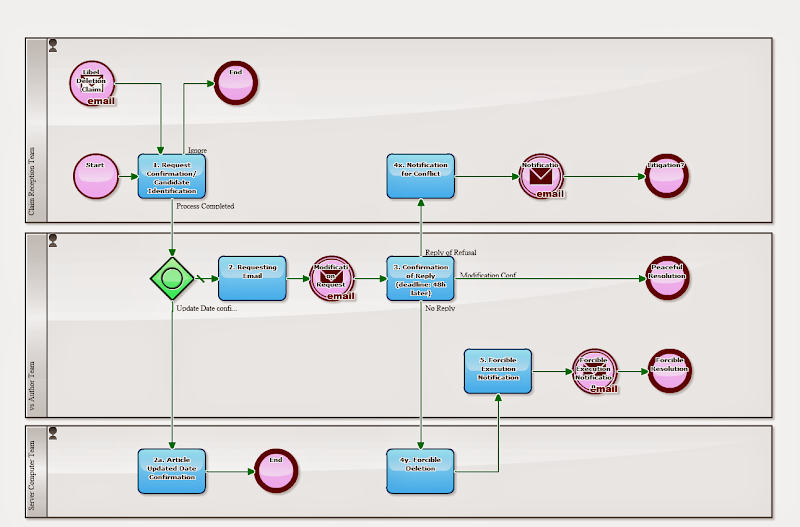 By the way, I have presented a Business process Definition here, but the actual Business process shall be modified to be improved again and again in practical operation. That is, I do not think a Workflow should be (operational manual) is defined really tightly, simply with the "common guidelines" in the Industry Associations or "laws and regulations" which was recently enacted. This is a case, I want you to Rotate "Improvement Cycle of Business Processes", keeping in mind the principles of Business Process Management (BPM).